Loop Industries, Inc. (Nasdaq: Loop) (“Loop” or the “Company”), a leading technology innovator in sustainable plastic for packaging, today announced that it has completed a multi-year supply agreement with Danone SA (Euronext: BN) (“Danone”), one of the world’s leading global food & beverage companies. Loop Industries, Inc. (Nasdaq: LOOP), a leading technology innovator in sustainable plastic, today announced that it has joined leading global consumer brands, including PepsiCo, Danone, The Coca Cola Company, Unilever, L'Oréal and others in signing the New Plastics Economy Global Commitment developed by the Ellen MacArthur Foundation in collaboration with United Nations Environment. Fingers holding a microchip next to a hand holding plastic pellets. Allow us the apples-to-oranges comparison to get the conversation started about how to rethink making and remaking plastic. PepsiCo secures production capacity from Loop's joint venture facility in the United States. Loop provides innovative, new technology for PepsiCo to bring to market sustainable packaging based on 100% recycled content. We have been playing a dramatic game of chicken with the natural limits of the planet for centuries. On one side is human behaviour and our linear 'take, make, and waste' habits and systems. On the other side is the Earth, humbly maintaining a continuous loop of recovered and recycled resources. The L'Oréal Group has announced its intention to be the first major cosmetic company to use packaging made from a revolutionary recycled and upcycled PET resin. evian have pledged to become completely circular by 2025. To highlight the importance of this, VICE Impact are following their journey as they overcome the hurdles to make this a reality. 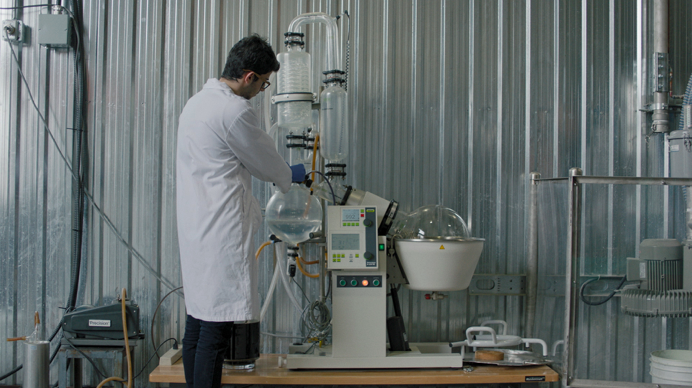 An innovative recycling method invented in a garage is offering a solution to plastic waste.